Resetti from animal crossing rules!! who's ur fav?? 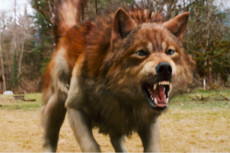 R U ON TEAM JACOB OR TEAM EDWARD? TELL MEH! This explains if u like Scourge TOO much..
Who''''s to say that dreams and nightmares aren''''t as real as the here and now? This is Warriors in a kinda funny/awkward/weird way! lol! XD Cats that are dead are also in it! Onyx and his friends are back! only this time a new evil aproaches and threatining Emerald Cove: Paradise of All Sonic OC's. A collection of random one-shots.